Pets are more than just companions. They’re members of our family. And as such, they deserve the best in care. It’s good to know that there are trusted people who can care for our pets to maintain health and wellness and help them look their best. 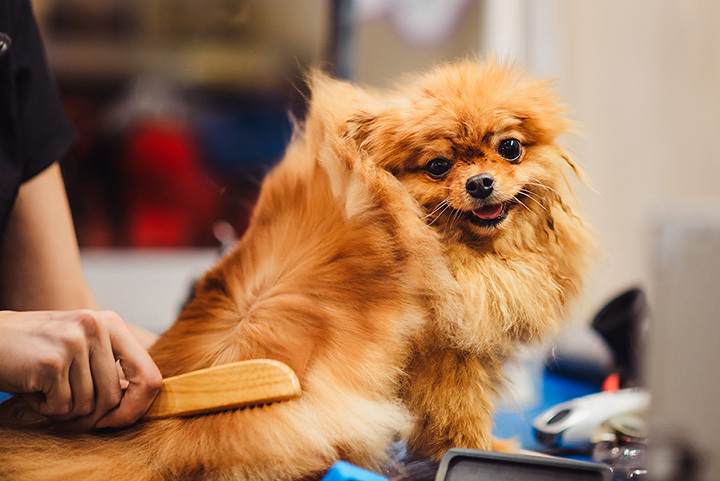 Here are the very best pet groomers in Louisiana. This amazing spa for dogs is a retreat to doggie heaven. Belladoggie Resort Spa is New Orleans’ premier spot for every luxury you can imagine for your pet. Your dog will be cared for by experts in physical hygiene, nutrition, and pampering from aromatherapy salt soaks to haircuts and nail trimming. Your pet will be literally be groomed from tip to tail with Tip to Tail Mobile Grooming. Based in Mandeville, this full service pet salon on wheels comes to you. The pet-loving technicians will be able to offer suggestions about skin and nail care, allergies, and the best way to minimize anxiety with essential oils. Dedicated to making your pet’s stay away from home a good experience, Bark Avenue in Pineville also offers grooming and short-term day care. When you want the best for your beloved pet, check this place out. Your dog or cat will return to you feeling relaxed and looking great. Excellent service at a reasonable price is what you can expect at Maria’s House of Grooming in Shreveport. A variety of services and special grooming packages are designed to help your pet feel good and be healthy. First time clients get a special discount on the purchase of a star package. On the Spot Mobile Pet Grooming hits the mark as a convenient and affordable way to meet your pet’s grooming needs. When you can’t bring your animal to the groomer’s, let the groomer come to you. For pets that have anxiety over new places, this is the perfect answer because they can stay home in familiar surroundings. Young or old, your pet will enjoy the attention and you’ll love the prices. Each pet is treated with dignity and given individual attention to every detail of their visit to Clip & Dip Pet Grooming. Located in Metairie, whether it’s bathing, boarding, or beauty, you’ll find it all with this full-service pet salon. Trained and experienced groomers care for any size or breed in a friendly environment and treat each pet as their own. If you’ve ever wanted a dapper dog, take them to Happy Tails West where your precious pooch will get trimmed from head to tail. Since most dogs are social by nature, there will be new friends to meet at Happy Tails, too. Your dog will have such a good experience here, they’ll be barking to go back. When it’s time to take your sweet pet to the groomers, visit Head to Tail Pet Groomers in Franklinton. The technicians will love on your dog and treat them right. The tender loving care they’ll receive will make you have less anxiety as a pet owner, too. The store carries products that you can use at home to help your dog look and smell great. Doesn’t your dog or cat deserve the royal treatment? They’ll get that and it won’t be hard on the wallet at Royal Pets Grooming Spa in Hammond. Besides caring for your previous pooch or curious cat, Royal Pets offers events that make caring for your animal easy and fun. Sign up to get your pet’s picture with Santa during the holiday season and make a lasting memory. Personalized professional grooming has never been easier than with Bespoke Dog in Lafayette. This specialty establishment offers customized care for dogs and works with you to create the ultimate plan so your dog is happy and healthy. Your dog won’t just get trimmed here; they’ll come away with a sculpted look that lasts.